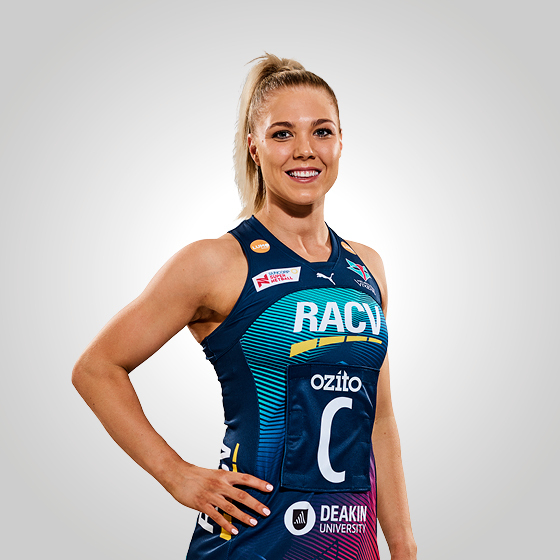 Captain of the Melbourne Vixens, Kate Moloney, is a fast, fierce competitor. Moloney flourished in her elevated role as captain in 2017 and was rewarded by making her Samsung Australian Diamonds debut and also being named captain of the Australian Fast5 team. A determined, vocal player, Moloney’s leadership on court is apparent, with her famous point and clap and her encouraging comments constantly heard throughout the match. Making her debut in 2013, Moloney was an instant fan-favourite, with her never-give-up attitude and passion – the attributes of a true Vixen. 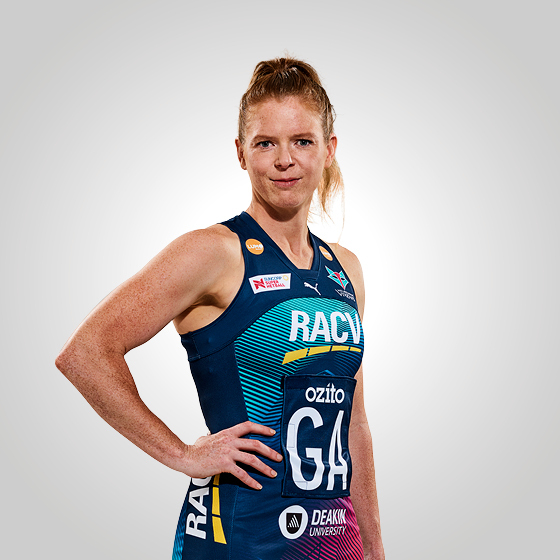 Finding success in just her second year of elite netball, Moloney was a crucial on-court member of the Vixens 2014 premiership team. I started netball at the age of six. My mum played netball and a lot of the other girls at school were playing. My favourite netballer of all time is Natasha Chokljat. When I was young, I wanted to be a paramedic. I'm a Richmond supporter - go Tigs! Away from the court I spend my time hanging out with friends and family, studying and if I’m not doing this you can generally find me at a café drinking coffee and eating avo and eggs! My dream holiday destination is Hawaii. The greatest lesson I've learned is to never give up.